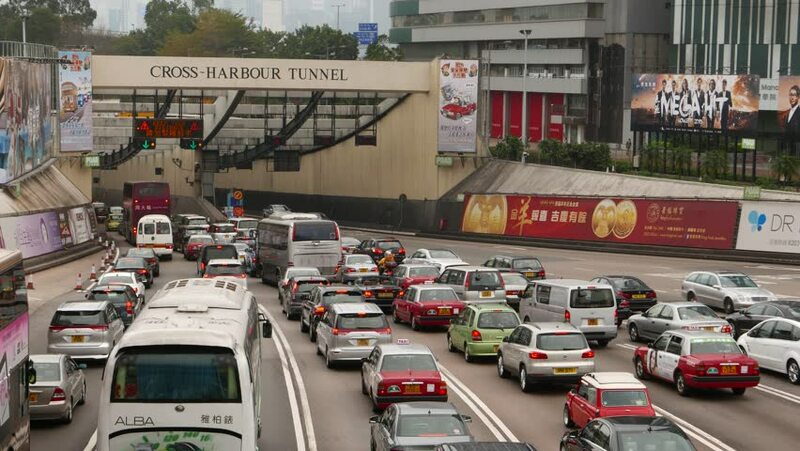 HONG KONG - FEBRUARY 19, 2015: Seven lanes squeezed into two at the tunnel entrance, traffic jam. Usual megalopolis traffic at the peak hour, bottleneck at road network. Weak link at road network. 4k00:11Hong Kong - Mar 29, 2017. Traffic on street at Kowloon District in Hong Kong, China. Hong Kong has a free market economy highly dependent on international trade and finance.